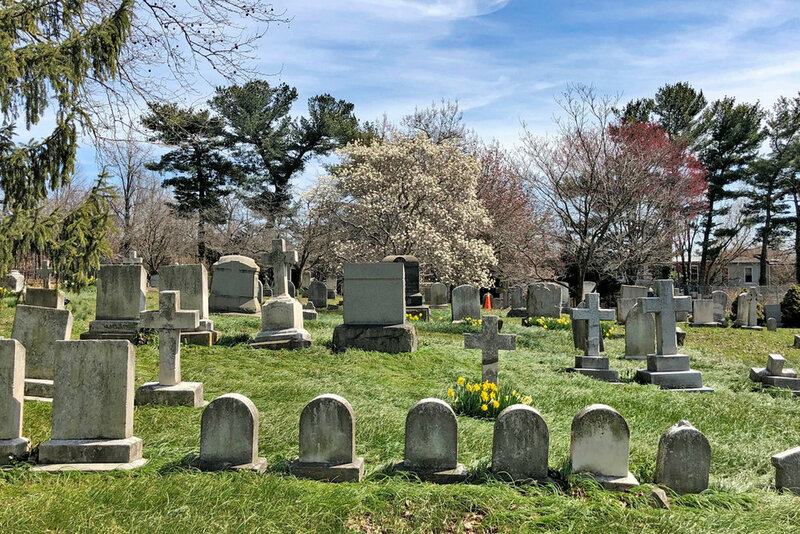 Miles of orchards, cottages and gardens surrounded Lizette Woodworth Reese when she lived in what is now Baltimore’s Waverly neighborhood during the 19th and 20th centuries. Luckily, Lizette was a poet, writer and teacher who wrote extensively about her village, then known as Huntingdon. 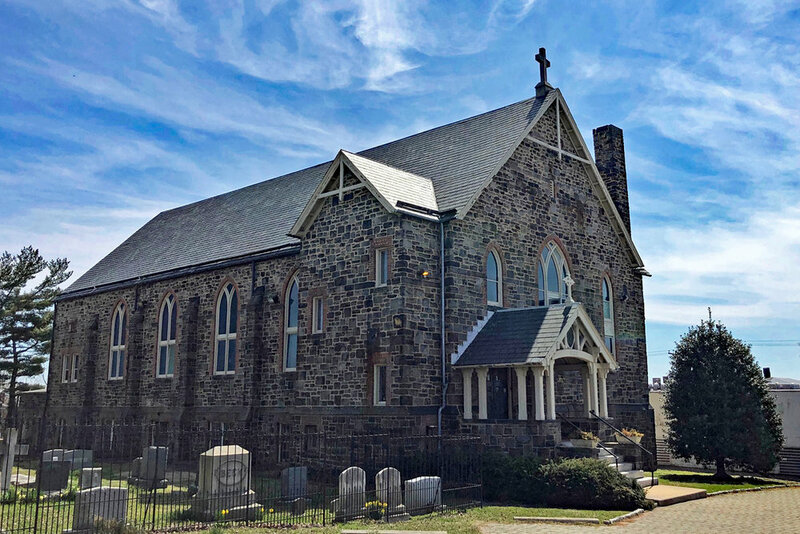 Today, her books and poems are one of the few resources available that help us see what life was like in the area that now surrounds the intersection of Greenmount Avenue and 33rd Street. Lizette and twin sister Sophie were the daughters of David Reese, a Confederate soldier and his German-born wife, Louisa. 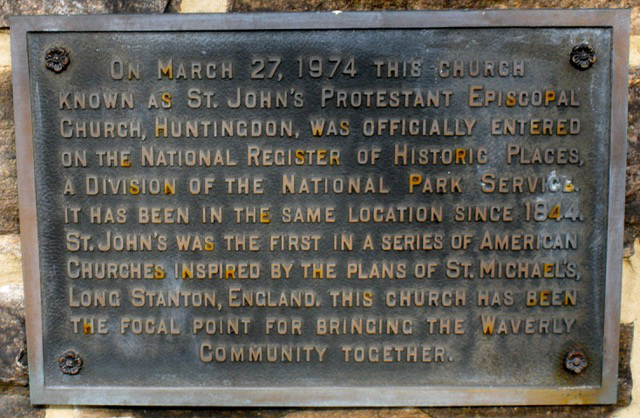 The family worshipped and is buried at St. John’s Episcopal Church, which was established in 1847. 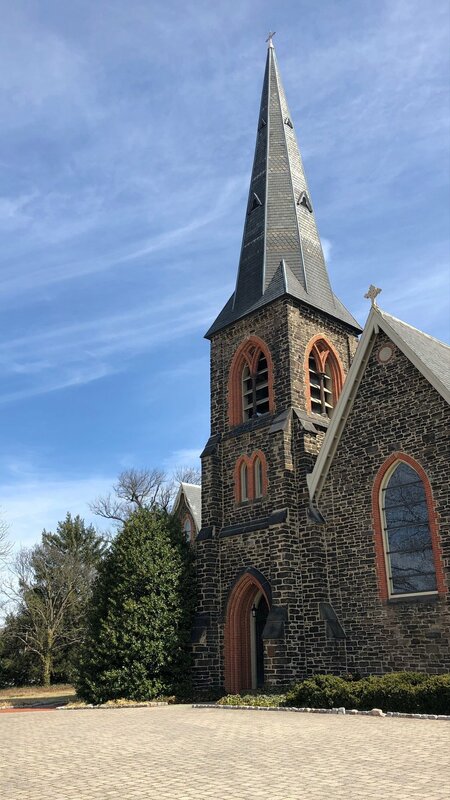 It continues to welcome people from many Baltimore area neighborhoods to a 10:30 a.m. Sunday service. This walking tour cover map by Johns Hopkins University shows what Waverly looked like in Lizette Woodward Reese’s time. After graduation from Eastern High School in 1873, Ms. Reese began a 48-year teaching career in Baltimore schools, spending the last 20 at Western High School. Students remembered her as a likable and fair teacher who dressed in unadorned dark dresses. She usually pinned her hair on top of her head and wore a dotted veil on her hat. In all, she wrote eight volumes of poetry, two long poems, two memoirs and one autobiographical novel. 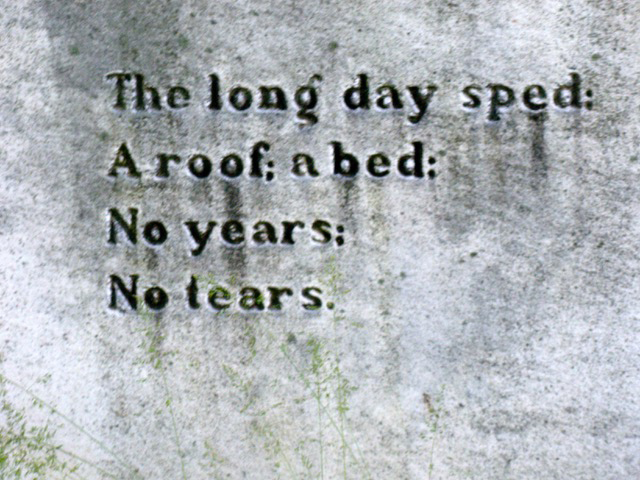 Her best-known sonnet, “Tears,” was published in Scribner’s Magazine in November, 1899. See samples of her poetry at allpoetry.com. One of her most comprehensive volumes is In Praise of Common Things, which begins with a short biography and includes about 250 of her poems. 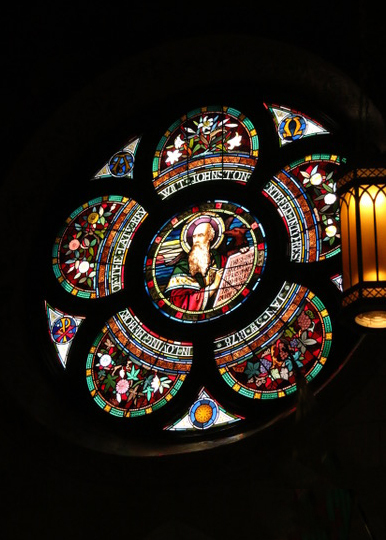 The poems are arranged by some of her major themes: nature, love, remembrance, faith, family, history and literature. 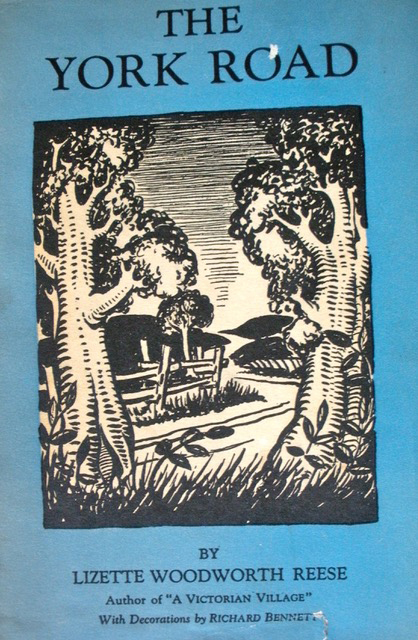 An additional section contains a complete narrative poem, Little Henrietta, about the life and death of a young girl. 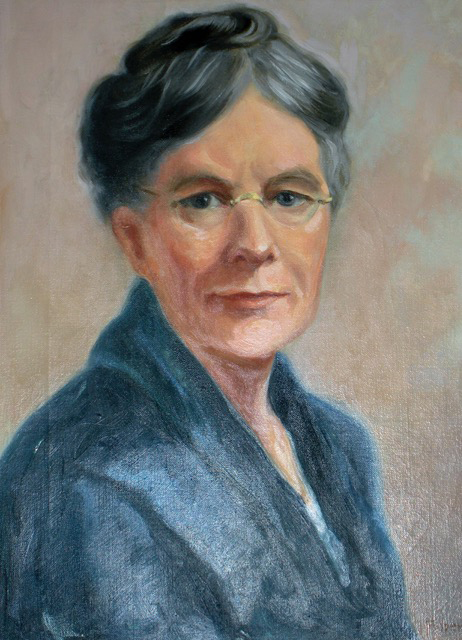 In 1931 she was named Maryland’s poet laureate and was granted an honorary doctorate from Goucher College. 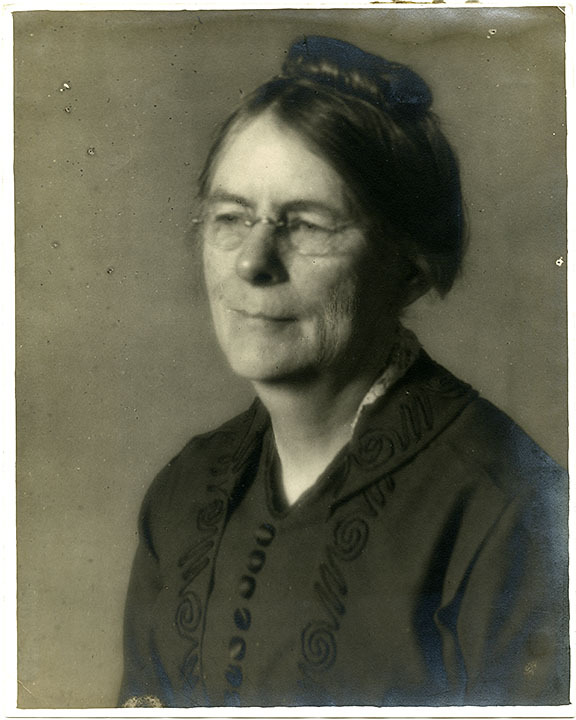 Reese was a member of the Edgar Allan Poe Society of Baltimore, acting as honorary president from 1922 until her death. 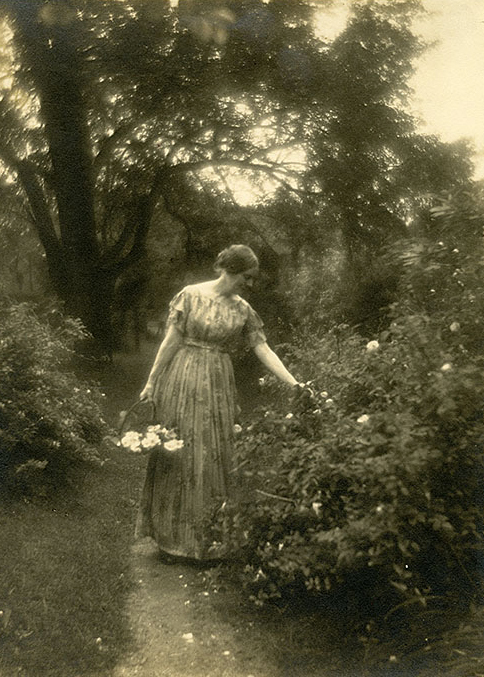 She also co-founded the Women’s Literary Club of Baltimore, acting as its poetry chair from 1890 until her death. Following her death, friend and local sculptor Grace Turnbull sought to have a fitting memorial dedicated to her friend. 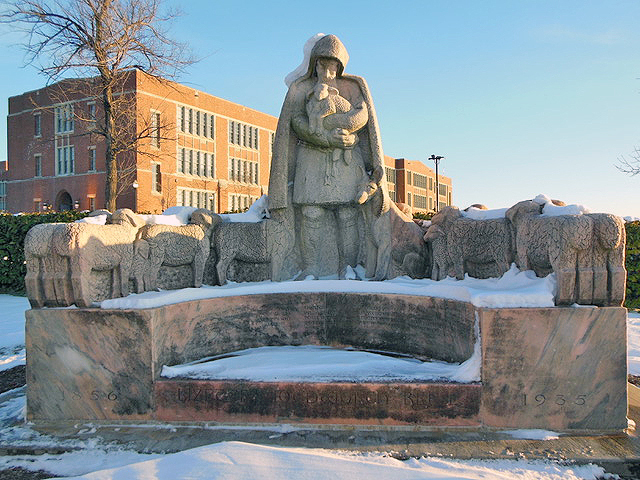 For months, Eastern High School students and teachers passed by Ms. Turnbull as she created The Good Shepherd, a bigger-than-life monument of a shepherd cradling a lamb as the rest of the flock circles them. Ms. Turnbull herself planted Ms. Reese’s favorite shrubs and flowers around the sculpture. 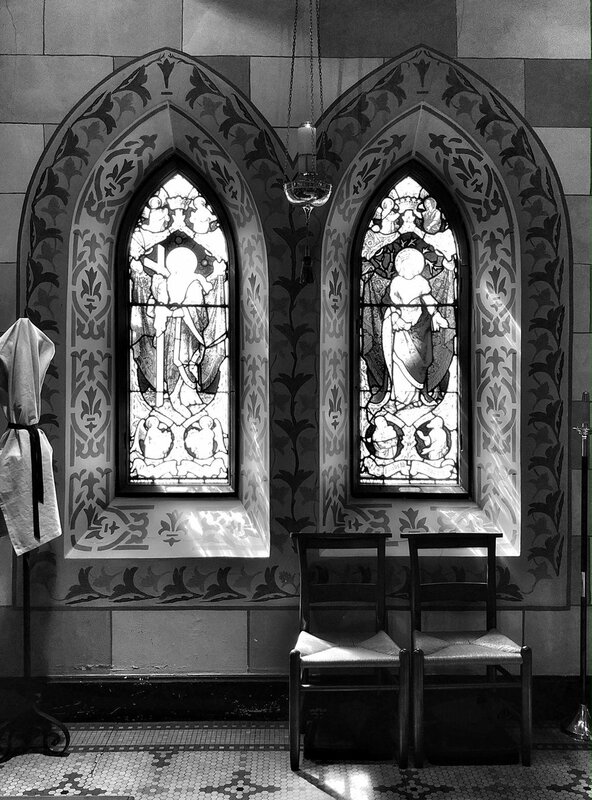 On June 1, 1939, students, teachers and guests gathered in a day-long dedication ceremony. Friends and colleagues read favorite poems, sang and shared the accomplishments of this noted Baltimore literary treasure. 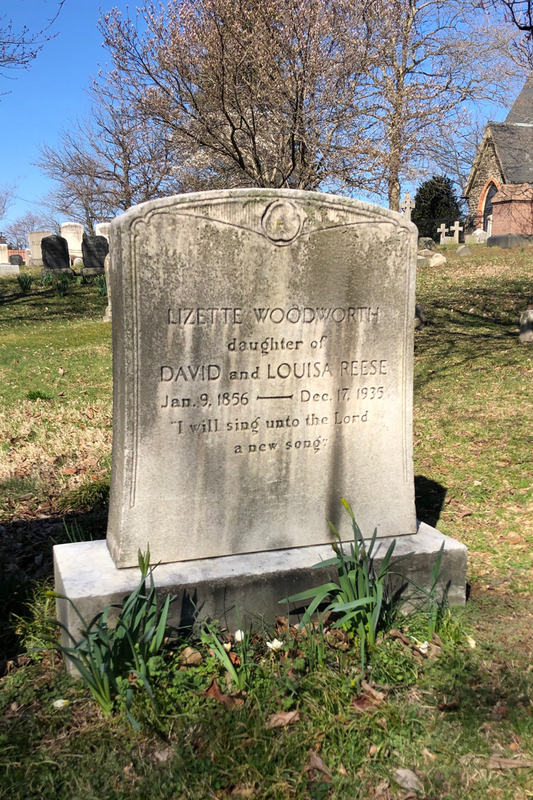 Lizette Woodworth Reese is buried with her family at St. John’s Episcopal Church in Waverly, located just south of Greenmount Avenue & 33rd Street. Lizette Woodward Reese was inducted in the Maryland Women’s Hall of fame in 2016. Many of her present day fans were on hand. 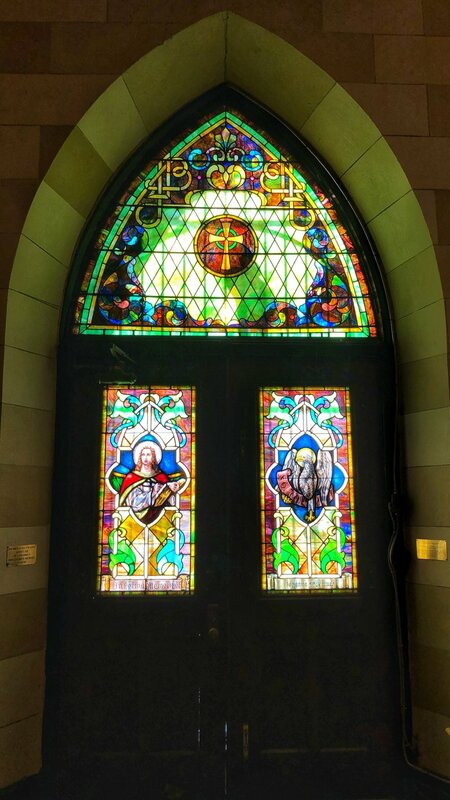 Photo courtesy of Joe Stewart (l). Epitaph on the back of Lizette Woodward Reese’s gravestone at St. John’s Episcopal Church in Waverly. 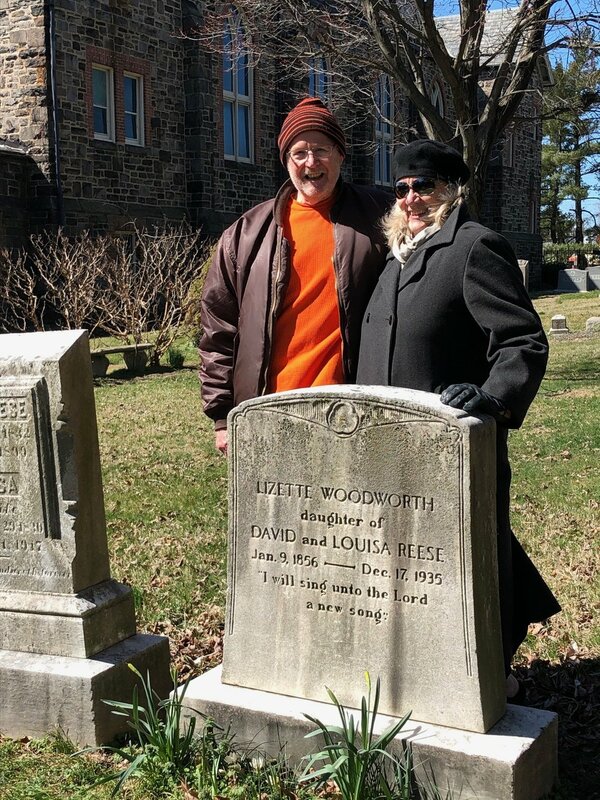 We thank Joe Stewart of the Baltimore City Historical Society and Karen Griffin at St. John’s Episcopal Church for their warm and enthusiastic help in giving us information about Lizette Woodward Reese’s life. 1992, Greenwood Press, Contributions in American Studies, Number 102.